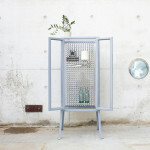 Dutch designer Jaimy Noya brings the fun of a 1980s pin impression toy to a contemporary cabinet called Memento. 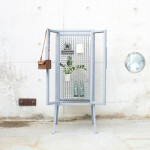 The glassy, elegant bureau is designed to store precious belongings, regardless of shape and size; just pin any object and watch the piece’s back metamorphosize into a porcupine. 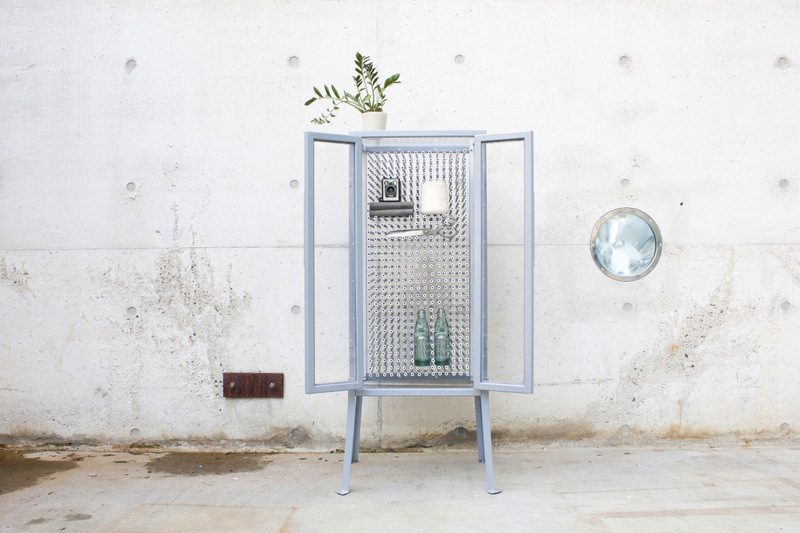 Each cabinet is crafted from a baby blue metal frame and glass panes. 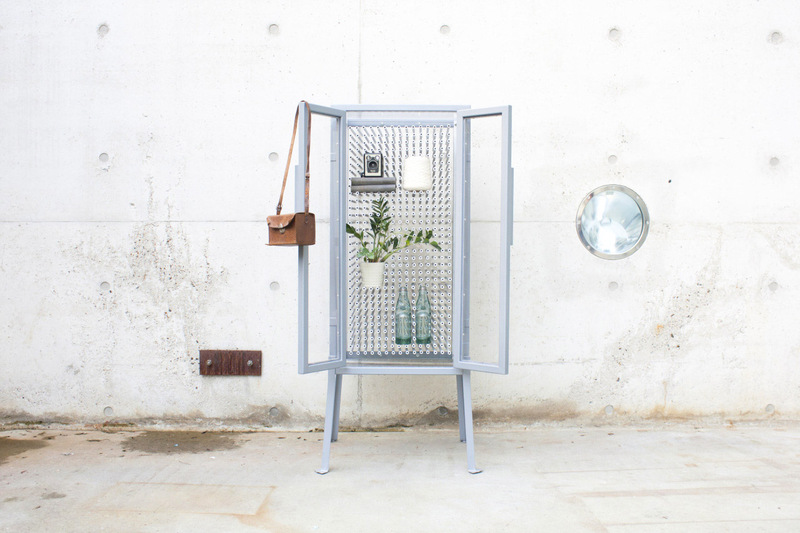 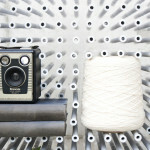 The central feature of pins is suitable for keeping in sight all sorts of random and delicate items like bottles, jewelry, plant pots or books. 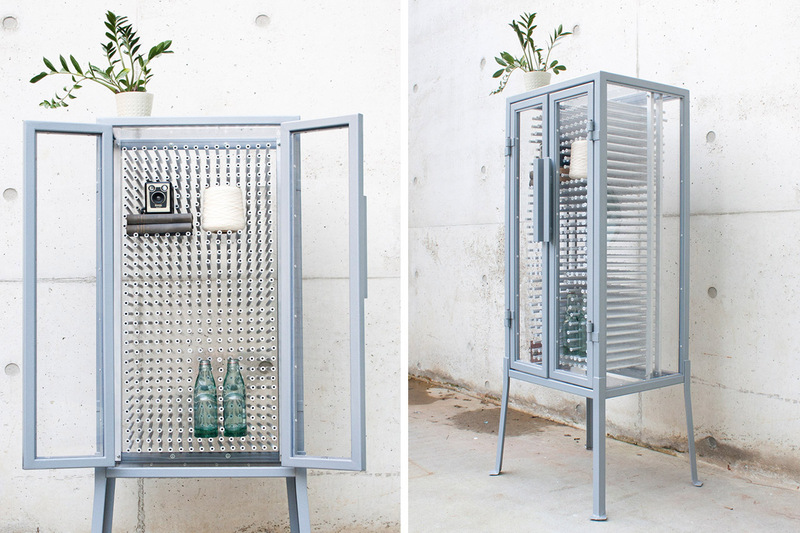 See more surprising furniture by Dutch designer Jaimy Noya here.